Welcome to TRUSTGiving 2014, our first annual weeklong trust awareness campaign. 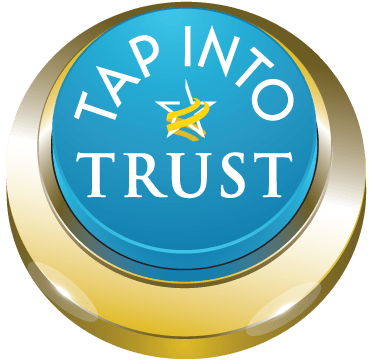 Join the Alliance of Trustworthy Business Experts as our members help our readers navigate the complexities of trust. We will be blogging (several times a day) and posting on Twitter #TrustGiving2014. If we hold back trust we may treat someone suspiciously, causing them to not trust us. Our negative expectations can become a self-fulfilling prophecy, starting a cycle of mistrust. We often get what we expect, so we should expect trustworthy behavior. If we freely trust people, they are more likely to behave in trustworthy ways. High-trust workplaces support ethical choices and ethical choices build trust. Withholding trust creates a cultural “dampening field,” making it less likely that people will protect the organization’s ethics. Staying focused on the positive keeps us from getting stuck in “what if” scenarios that can distract us from the work at hand. Trusting others (while being alert for problems at the same time) brings out the best in them, and it brings out the best in us. This positive cycle propels our organizations to success. If we make trust “all about us” we’re missing the point – trust is inherently relational. We can’t build a trust relationship by holding back until people “earn it.” We will not reap the wonderful benefits of trust building without a commitment to protecting the trust relationship. No “transaction” can transform people and organizations the way that that protecting the trust relationship does. Linda Fisher Thornton is CEO of Leading in ContextLLC, and she is on a mission to Unleash the Positive Power of Ethical Leadership™ in organizations. She is the author of 7 Lenses. Linda is an authority on the future of ethical leadership, and writes and speaks about how to bring out the best in people and organizations through proactive ethical leadership. Her website is LeadinginContext.com. Copyright 2014 Next Decade, Inc.